Laughter, finds Peter Kerr, is the best medicine when faced with a local dish of rats and the live-chicken-down-a-chimney technique of household maintenance. But their Mallorcan neighbours help them adapt to their new life. Snowball Oranges is hilarious and revealing, full of life and colour, set against the breathtaking beauty of the Mediterranean. Peter Kerr, the best-selling Scottish author, was born in Lossiemouth, Morayshire, in 1940,a nd now lives in East Lothian. 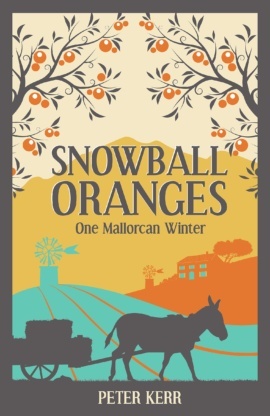 His award-winning 'Snowball Oranges' series of five Mallorcan-based books have sold in large numbers worldwide and have been translated into twelve languages. They recount the often hilarious adventures experienced by Peter and his family while running a small orange farm on the Spanish island during the 1980s.